Providers of foreign aid to the always-insolvent Palestinian Authority - and the ordinary citizens who unwittingly contribute to the funding via their taxes - acquired yet another new beneficiary earlier today. We have written several times concerning the tragic events leading up to today's arrest: "09-Dec-18: A shooter in a passing vehicle seriously injures several Israelis tonight near Ofra, north of Jerusalem"; "13-Dec-18: Another lethal Arab-on-Israeli shooting attack Thursday" and "21-Dec-18: After the terror attacks, the focus moves on as the quiet struggle of the victims continues". That younger brother who was the subject of an intense manhunt for several days was arrested on December 12, 2018 when IDF soldiers, conducting a manhunt, intercepted a cab he was riding in. 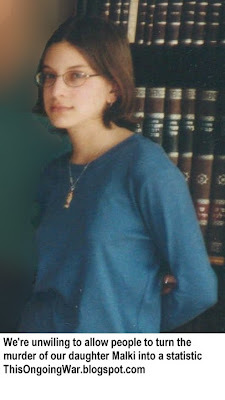 Saleh died in the subsequent shootout with IDF forces. A second Palestinian Arab suspect also from Kobar, Wa’ed Barghouti, was arrested separately shortly afterward. 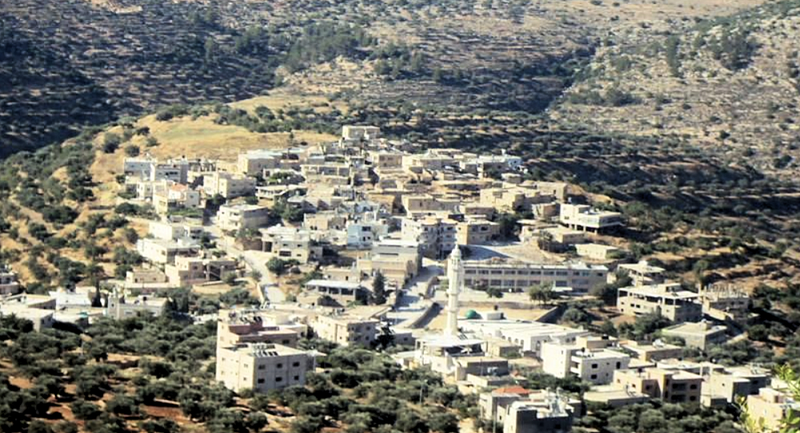 The Barghouti's home village of Kobar (also written Cobar, Kaubar and Khobar), controlled by the Palestinian Authority and located about 10 km north of its seat of government, Ramallah, has a population about 3,500 (as of 2007). Almost all of them belong to one of eight family-clans of which the most prominent is the Barghoutis. 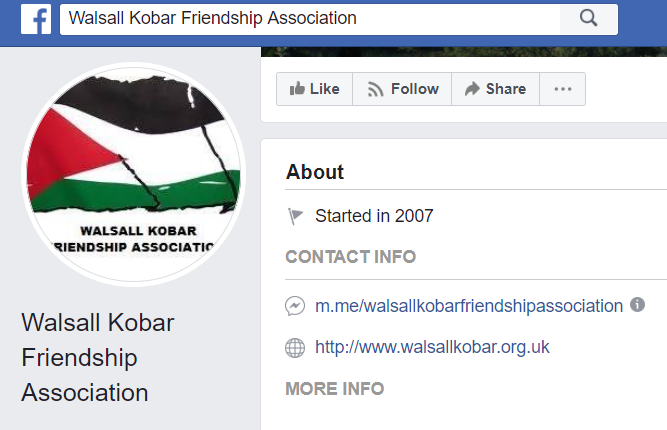 Kobar prides itself (when we checked last July) on having no fewer than 25 of its townspeople incarcerated in Israeli prisons. The murderous Barghoutis are close clansmen of, and from the same village (Kobar) as, Marwan Barghouti: convicted murderer, former acolyte of Yasser Arafat and Bishop Desmond Tutu's favored candidate for the Nobel Peace Prize. See "04-Apr-17: Something you rarely read about Marwan Barghouti the killer"; and "18-Apr-17: So what, in reality, is Marwan Barghouti?". In relation to Marwan Barghouti, we feel we have a personal account. 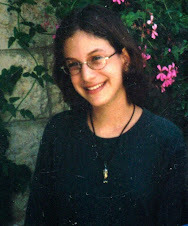 He personally laid out $500 [archived source quoting a 2004 Jerusalem Post report] for the making of the explosive-filled guitar case that was brought to, and exploded inside, Jerusalem's Sbarro pizzeria destroying it on August 9, 2001 and killing fifteen innocent people including our daughter Malki. When another clansman from Kobar, Bilal Barghouti, a senior Hamas operative, was on the run from the Israeli security forces because of his involvement in the massacre at the Sbarro pizzeria (he was later convicted for his part), Marwan Barghouti sheltered him for a time in his home. Bilal Barghouti said for the record that, during his stay there, "he saw a number of weapons, and when he left the house Barghouti armed him with a gun for his use." [Source: CAMERA] Marwan Barghouti is an unindicted accessory after the fact to the Sbarro murders. Another clansman from Kobar: Na'el Barghouti whose background is here: "23-Feb-17: The fate of another Shalit Deal murderer and what this means for peace". Starting his career in terror with Fatah back in 1978, he converted as a prisoner to become a religious extremist and now owes his allegiance to the Islamist terrorists of Hamas. Also from Kobar: Muhammed Tarek Ibrahim Dar Youssef whom we profiled in "27-Jul-18: A murderous Thursday night knifing attack in suburban Jerusalem; the killer, again, is a child". It's believed Kobar is where the arsonists who set the fires that destroyed a depressingly large number of Neve Tzuf's homes came from ["27-Nov-16: What lies behind the conflagration"]. For reasons best known to certain kinds of Brits, the English West Midlands industrial town of Walsall in Staffordshire chose to establish a twinning relationship with Kobar which is still in operation. What each side gets from this borders on the frankly disturbing. Kobar's economic basis was bleak as of 2011 which is when some detailed analysis was published. Some 62.5% of its population were categorized at the time as "not economically active". The village was reported to have (and this the whole list) an olive oil-press and two stone quarries, 14 grocery stores, one fruit and veg store, five "professional workshops", three service stores, and one shop for agricultural tools [source]. We have not yet found published data to show what share of daily life in this violent place is sustained by lifetime Pay-to-Slay stipends from the Palestinian Authority. Whatever it is, it grew larger today. Thanks, Europe.